Availability: This product is discontinued and no longer available for purchase. For alternatives browse our Body Sculpture department. With multi level adjustable tension / resistance control the user can have complete control over the intensity of the workout, the Body Sculpture E-Z Strider BE1000 elliptical cross trainer offers a Hi-Tech magnetic brake system for a smoother workout. The magnetic resistance ensures a smoother and quieter action with reduced friction or chance of wear to make the machine perform better and with a significantly reduced chance of faults occurring. 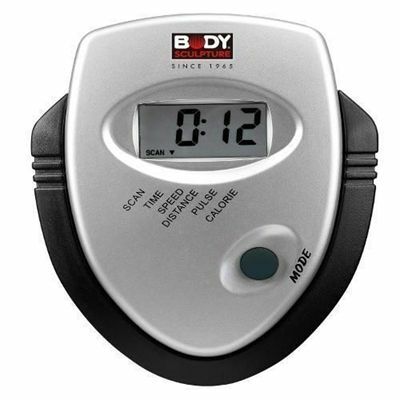 What's more, with the Body Sculpture E-Z Strider BE1000 you can easily keep track of your heart rate with the integrated hand pulse grips which show the reading on the console. The large non-slip footplates enable you to keep on going in comfort without worrying about your positioning. Very good for toning - I felt that straight away. 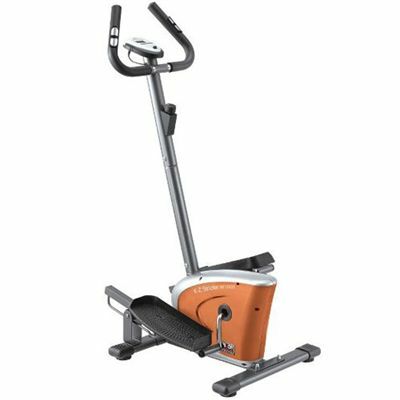 Just wish it would burn a few more calories and I would've given it 5.
for submitting product review about Body Sculpture E-Z Strider Elliptical Cross Trainer.